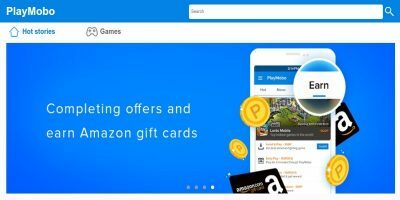 In my previous Dropbox article, I highlighted that Dropbox had released apps for the Android, iOS and Blackberry platforms. These enabled Dropbox users to access their data while on the move. 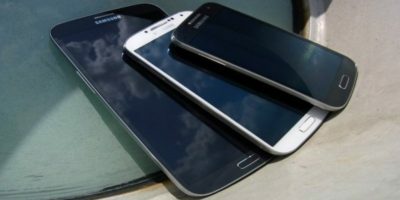 However, the apps, especially the Android one, was very much in its infancy and there were a lot of basic functions that it lacked. 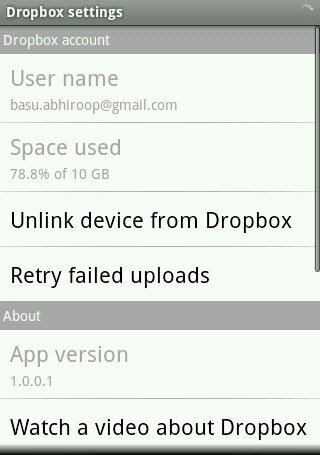 Dropbox has recently updated its Android app and I thought it was a good time to review the app. 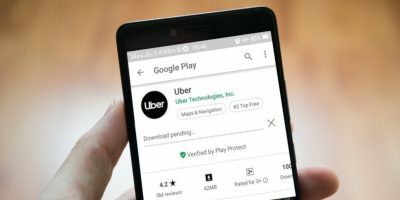 After installing and launching the app you will land on the start page. Here you can choose to login or set-up a new account. Once you have logged in you will be presented with the list of folders that are in your Dropbox account. Browsing these folders is just like browsing the folders in the Dropbox folder in your home computer or through the web browser. You can click on any folder to browse the files inside. 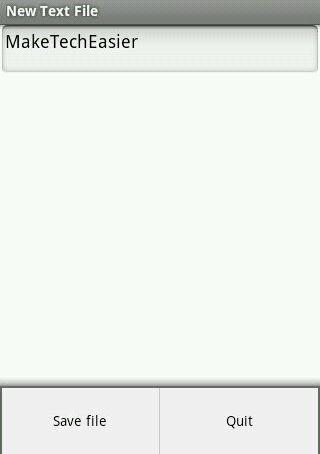 For example, I clicked on the “Photos” folder to browse the pictures I had uploaded onto Dropbox. The name and size of the files are prominently displayed. However, considering this was the “Photos” folder I expected there to be a gallery view to easily browse the image thumbnails, such as the one that is accessible on the web interface of Dropbox. Nevertheless, browsing and downloading the files is very easy. To download a file, long click on a file until the context menu appears and from there select “Download”. Additionally, you can “Open” the file which basically launches an app to try and read the file (this does not work with most files, such as .docx files), you can share the file (see below) or you can delete the file. A short click on the file gives you similar options. 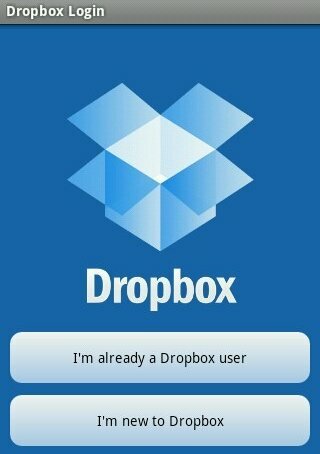 Dropbox’s real power is its ability to easily sync different files across different devices. 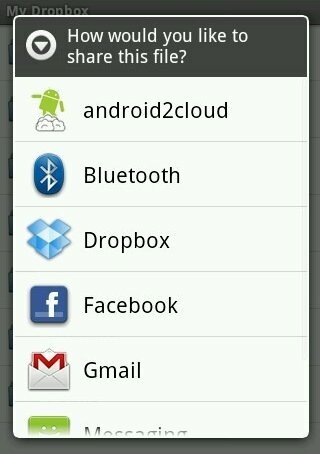 The Dropbox Android app makes this easy with the ability to “Upload” any file you want. Simply hold down the menu button until the options menu appears. Here, simply select the “Upload” button. 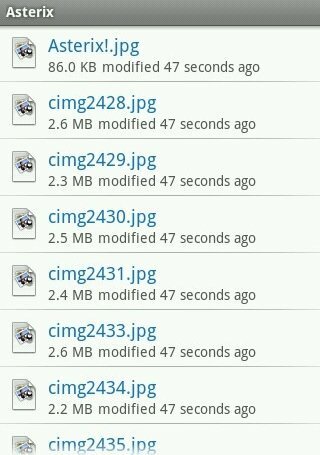 This will give you a list of file-types you would like to upload. Select a file-type and you can browse your phone’s memory to find the appropriate file and have it upload to your Dropbox account. If you don’t already have a file to upload, you can create your own. Simply click on menu and “New”. 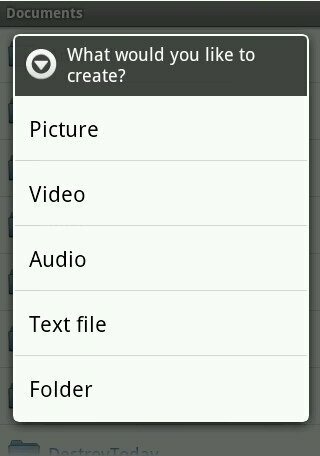 From the create menu you can create various media files (pictures, video and audio), a basic text file or a folder. The media options automatically launch your camera or camcorder app, while the “Text file” option gives you the option to launch a native text creation application or the Dropbox specific one. The “DB Text Editor” is a fairly basic text creation tool, with only the ability to create and edit a text file. 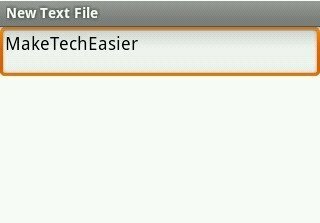 Once you are happy with the text file you can save it, by clicking on menu and “Save file”. 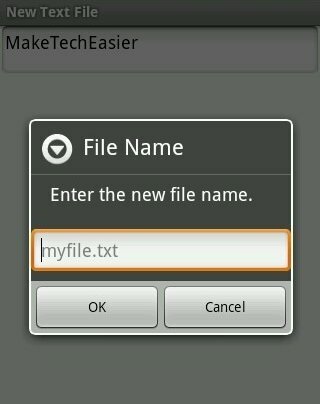 You will then be given the option to create a name for your file. The file will immediately sync with your Dropbox account and appear on your computer and the Dropbox web interface. Lastly, it is possible to share a link of your files and folders by long clicking a file or folder and selecting “Share a link”. There are a number of sharing options available here. The settings menu has a few limited options. The main option is the ability to enable file-status icons, which can show whether a file in your Dropbox folder has been downloaded onto your phone. 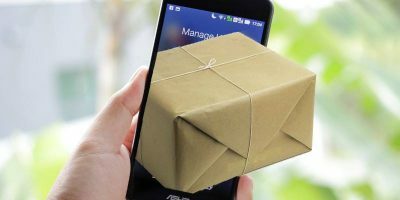 The Dropbox app for the Android mobile platform is a solid start for an app that prides itself on its ability to do seamless syncing. However, the addition of a few more essential features would make this the ultimate app to have. Perfect. How to create a direct link to the simple by efficient and reliable included ” DB Text Editor ” ? Nope. 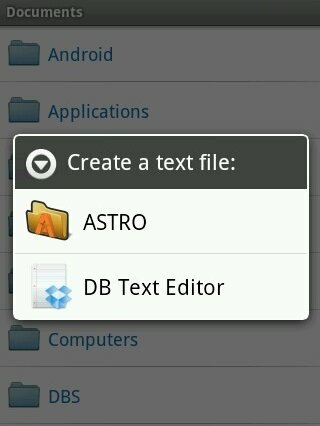 The DB text editor only works within Dropbox.